Snowden is a brave man, clear-spoken, and outspoken. I hope his future story will shorten the prison life of Bradley Manning and allow Julian Assange to be free to leave the Equadorian Embassy in London. And nudge America back towards respect for privacy. However, given the size of that NSA blockbusting building, and the dark energy invested in it, it looks like a tough fight. And other American citizens are going to be have to do the fighting. I pray for his freedom and safety. He's got some cajones to go public with such a conspiracy as deeply rooted as this. I hope more people follow his lead and make it nigh impossible to chase after all the leaks. These are some scary times we live in. One of my twitter followers just told me that the reporting in Japan (which is minimal and shows either ignorance or misunderstanding)　is focusing on the fact that Mr. Snowden does not have a high school diploma. As history has shown over and over again, whenever you let government circumvent or even violate or invalidate existing laws and civil rights, you set a system in motion that can very easily spiral out of control and turn against anyone at any given point with no way to fight back. People will hopefully remember that all it took was a population sufficiently scared of "external" threats by a well functioning propaganda machine and a government in total control under a guy like Hitler to throw the world into chaos with countless millions of lives lost. If that should have taught us anything, it's that we have to keep a close and critical eye on our respective governments and those who hold power in other ways. My utmost respect goes to Mr. Snowden for speaking up against what he sees as wrong and dangerous, regardless of how powerful the enemies are that he is making in the process and what it may ultimately cost him. In an ideal world/democracy, everyone should see it as his/her civic duty to do so. You should not have to be afraid of displeasing your government; your government should be afraid of displeasing you and losing your mandate. Use Your Own Lie Detector , free ! Just have a look at this 1'33 m video. Is This Man Lying or Not ? Lesson 1 , Free of Charges !!! - Look at His Eyes. 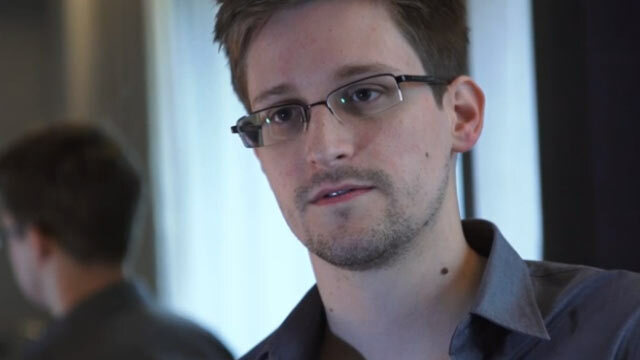 "...focusing on the fact that Mr. Snowden does not have a high school diploma." Yeah, that's media for you. Ignore the real issue and focus on superficial "dirt". Sheeple buy it because they just don't care about the big picture. I don't think they're even aware that time passes while they're asleep. Humans are truly sad creatures. On a relevant note, the only people I know who speak, read and write very good English all dropped out of high school. Furthermore, in all my years of school and college, teachers and lecturers constantly expressed disbelief and disgust that almost all their students did not know what nouns, verbs and adjectives are. Welcome to modern education, designed to keep people dumb and docile. And they LOVE it! One more thing... the national news constantly complains that citizens can't read or write. Then they blame cell phones.